Canon has updated its cloud-based image management service, irista. The features going live are part of the next development phase of the platform and include an optimised user experience for tablets, as well as the ability to order high quality photo books directly from irista. There is also a new pricing for the irista subscription tiers, giving photography enthusiasts increased storage. Adobe Lightroom integration Edit images directly in Lightroom, which stores and synchronises the edited versions on your irista account, maintaining a single place to store all your photos. Lightroom users will also find their photos with XMP data in irista, ensuring images can easily be filtered. Multi-device ready Compatible with the most popular iOS and Android tablets, the user experience has now been enhanced to make all of irista’s functionality easily accessible on tablet devices. Firmware Version 1.3.3 for the EOS 5D Mark III incorporates the following improvement and fix. 2. Corrects some incorrect indications on the English and Russian menu screens. The Societies is a group of organisations incorporating the interests of all aspects of photography. The membership is open to full-time professional, semi-professional and the serious enthusiast. 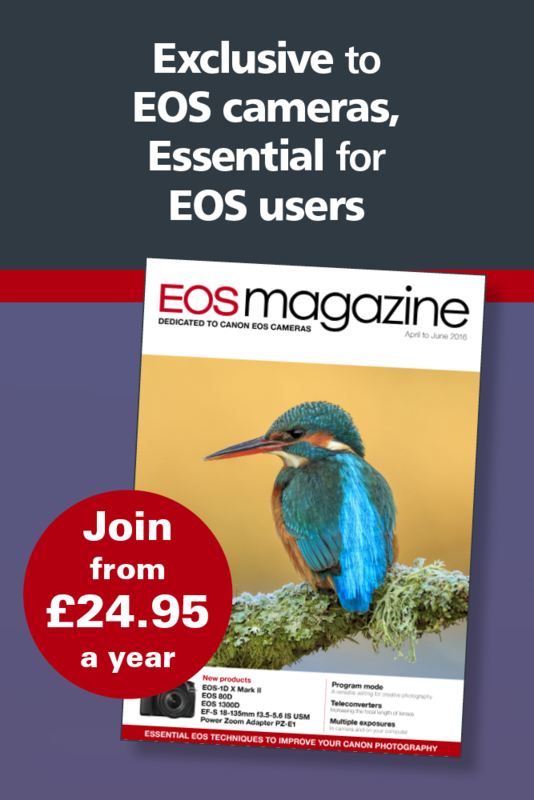 Each year The Societies offer Trade Awards, voted for by over 7500 member photographers. Canon was successful in several categories. Best Professional Lens: Canon EF 70-200mm f2.8L IS II USM. Firmware Version 2.0.7 for the EOS-1D X incorporates the following functional improvements and fixes. 2. Fixes a phenomenon in which, when shooting long exposures (several minutes), vertical lines appear on the right edge of captured images (still photos). 3. Fixes a phenomenon in which Auto Exposure Bracketing (AEB) may not perform as intended when in continuous shooting mode and where the shutter speed is longer than 1 second. 4. Improves the reliability of the control mechanism for the Picture Style Auto setting. 5. Fixes a phenomenon in which the electronic level indicator does not work correctly. Canon Inc. again ranked first among Japanese companies and third overall for the number of U.S. patents awarded in 2014. The total of 4,005 averages out to almost 11 patents every single day of the year. Note: Number of patents for 2014 based on preliminary figures released by IFI CLAIMS Patent Services. Figures for 2005 to 2013 tabulated by Canon based on information issued by the United States Patent and Trademark Office. Flickr, the popular photo/video hosting/sharing website, has published its latest annual report, based on user data. Accurate figures are difficult to confirm, but in very round figures around 100 million users have uploaded around 10 billion photos and videos. This has given Flickr a mass of data about the cameras we use. In terms of camera ownership by brand, Canon topped the tables in 2013 (13%) and 2014 (13.4%). Nikon came second in 2013 (8.8%), followed by Apple (7.7%). In 2014, Apple came second (9.6%) with Nikon beaten into third place (9.3%) despite a higher percentage than the previous year. Canon EOS 600D (3.2%), Canon EOS 7D (2.4%), Nikon D7000 (2.3%), Canon EOS 60D (2.3%), Canon 5D Mark III (2.2%). You can dig deeper into the figures at Camera ownership on Flickr: 2013-2014. Keep in mind that the data relates to Flickr users only and might not be representative of photographers in general. Canon has given details of the Connect Station CS100, a photo-storage device that allows you to save, view and share your photos and movies all from one single accessible location. Acting as a central hub for up to 1TB of content, the Connect Station CS100 makes worrying about which memory card or device your images are stored on a thing of the past. All your photos and movies can be easily imported from NFC-enabled Canon cameras and camcorders1 with a single touch. Your favourite content can also be transferred to the Connect Station CS100 from a range of devices. Occasions captured on other cameras can be imported through a USB wired connection or directly from a memory card. Spontaneous moments shot on smartphones or tablets can be transmitted using Wi-Fi, via a web browser, making it easier than ever before to bring together all your images or videos.